happening right here in Kitchissippi ward. We know the environment is an important issue for many of you, so please pass along your story suggestions. Read Charlie Senack’s article about how two local businesses have embraced composting on page 14. Thanks for reading! I received a surprising inquiry from a KT reader on Facebook. Bonnie Dinning liked one of the photos I posted to the Kitchissippi Times Instagram account January 2. It was a quickie photo I snapped on December 18 to promote an Early Days column about the history of the Lululemon building. “A beautiful shot,” she wrote. “I am working on an oil painting of it and would like to know who took the picture?” This was a first for me, and of course I was thrilled. We finally met in March over bagels and coffee and she showed me the final results. Impressive for sure! We’d love to know the identity of the couple in the original photo. Is it you? Do you know who it may be? Drop me a line at editor@kitchissippi. com. Speaking of art, we’ve heard you like street murals! According to a recent poll on the KT Instagram account, 96% of you would like to see more murals in Kitchissippi ward. The question is, where? Send your ideas and suggestions to us at editor@kitchissippi.com and you may see them in the next issue. Mike Robertson is retired and lives in Westboro. All his books are available from Indigo Chapters and are also available on-line from a number of other sources. Mike Robertson has published a number of various projects. His most recent effort, a novel entitled Picture Windows, is his tenth book, joining three collections of short stories, Casting Shadows, Parts of a Past, and These Memories Clear, three volumes of literary entertainments entitled The Smart Aleck Chronicles and three novels, The Hidden History of Jack Quinn, The First Communion Murders, and Gone and Back. His next book, an account of his sixty years playing recreational baseball, is due within months. ight rail is coming to McKellar Park. Good news, right? Well, it’s complicated. We’re a one-car family and we’ll benefit from having the LRT just two blocks away. The trains will whisk us downtown and home again in record time and have minimal impact on the environment while doing so. But it comes at a cost: Cleary Station is going to be built on the Byron Linear Park. The station will start at Sherbourne Avenue and run 100 metres west in an open trench the size of a football field. The linear park will be dug up between two stations—Cleary and New Orchard— removing all of the beautiful, mature trees that line this section. Two faces staring out of two windows in two separate houses in two separate cities separated by more than fifty years interests, fascinates and eventually obsesses the same observer, first when he was a young boy, then when he was a recently retired man. Precipitated by the discovery of a longburied skeleton behind a recently demolished older house, a retired man investigated these two obsessions, separated by time and place, for possible meaning. 250 City Centre Ave., Suite 500 Ottawa ON K1R 6K7 www.kitchissippi.com Kitchissippi, meaning “the Grand River,” is the former Algonquin name for the Ottawa River. The name now identifies the urban community to the west of downtown Ottawa. If this were a Nancy Drew novel, we’d call it The Mystery of the Moving Station, writes Anne Boys Hope. where possible and enhanced with more trees, improved pathways, public art, and additional plaza space for local events.” And for every tree cut down, the city will plant two. Let’s make sure that happens. There are still many unanswered questions: Will residents have the opportunity to provide meaningful feedback on the new plan and design for Cleary Station, including serious discussion of our concerns about traffic, parking, noise, safety, accessibility and related intensification? And since the station isn’t going on Cleary, why not change the name? How about “Linear Park Station” or “Tramway Park Station”? This could signal the beginning of a more transparent and collaborative discussion with the city. Anne Boys-Hope has lived in Westboro for 20 years. You’ll see her on the Byron Linear Park with a poodle in one hand and a coffee in the other. IT’S ALMOST SPRING! SPRING REGISTRATION! Register now for all spring programs. Classes start mid-April. SUMMER CAMPS & SUMMER SWIM Register now! Get your top picks for this summer. EXTENDED DAY RECREATION AFTER SCHOOL PROGRAM Registration for 2019-2020 is now open! Six Months in Sudan: A Young Doctor in a War-Torn Village by James Maskalyk. Anna Mercier, Molly Goodman, and Ella Jackson-Cappuccino are among the Nepean HS students who are reading, discussing, debating, and campaigning for the book they think deserves to win the Battle of the Books. Humans of Kitchissippi is a special street photography project designed to introduce readers to some of the people who live, work, and play in Kitchissippi. Each instalment of HOK contains three elements: a photo, a name, and a quote from the subject that reveals a little bit about who they are. Go to kitchissippi.com to view our ongoing collection of humans. Rod Castro Vinny Cuccaro and Rani Aramoui of Pubblico Eatery. A grand opening event is planned for April 11.
n 1904, a sturdy three-storey red brick farmhouse was constructed just a stone’s throw south of Byron Avenue. At the time, from the third-floor attic windows, one might see the majestic Ottawa River several hundred yards to the north flowing east toward the city that bears its name. Over the past 115 years the house has quietly and faithfully served several families who have made it their home. It is one of the oldest surviving houses in Westboro. Some of those early occupants were surrounded by farmland. Later the McKellar Golf Course was developed and included land east and south of the house. When the residential subdivisions were created around the home, including the land used for the golf course, its location became the corner of Wavell Avenue and Crossfield (now Vilius) Avenue. Despite the development around it, 540 Wavell was still left with lots of breathing room. It stands on a generous lot measuring 100 x 125ft. The east side of the home also faces McKellar Park, which only adds to the feeling of spaciousness around the property. For the past 21 years, the Wavell home’s occupants have been Janet Yale, Dan Logue and their family. Living nearby, they had long been smitten by the grand old house on Wavell. As fate would have it, the owner, even though he had undertaken fairly extensive renovations including adding a garage, mud room, several new windows and a family room behind the garage, opted for a lifestyle change which included a hobby farm outside of Ottawa. Thus, he put the Wavell Avenue home on the market. overlooking the hedged yard. Talking with Dan and Janet, it’s obvious they care very much about 540 Wavell and at the same time they know that maintaining a heritage structure comes with its own special challenges. Both Janet and Dan are quick to explain. “With an old house, you have to be prepared to make the investment. We believe a house has to shine with age. It has to be maintained,” says Janet. Dan adds: “It’s part of our lives. And we feel we have a duty to keep the house up.” Dan fully expects 540 Wavell will be the couple’s final mailing address. “This is our last house,” he says firmly. “We’ll never move.” It’s not surprising for those of us who live here, that the Westboro area continues to grow in popularity. The area continues to evolve as more and more people discover the many advantages of living in this family oriented community just a few kilometres from Parliament Hill. If you happen to be cycling or walking on Byron Avenue’s linear pathway, or playing tennis or soccer in McKellar Park, take a moment and look to the corner of Wavell and Vilnius and there it stands – 540 Wavell – 115 years old and still shining in all its glory. one bee would have to fly around 90,000 miles — three times around the globe — and would need to gather nectar from two million flowers. That being said, one worker bee only produces about 1/12th teaspoon of honey in its lifetime. Last year the mall bottled up 100 jars of honey and sold them for $10 each at the guest services counter. On March 6, Carlingwood donated their profits – totalling $1,000 – to the Ottawa Food Bank. $5.00 worth of food with that donation. We are really able to put our donors dollars to great work.” Nathalie encourages mall shoppers to check the Carlingwood Shopping Centre website (carlingwood.com) to find out about all the bee-related events that will be happening in the Centre Court of the mall this summer. ARE YOU A BUSINESS OWNER, ARTIST, PERFORMER OR ARTS LOVER IN WELLINGTON WEST? had banned the keeping of chickens within city limits but exempted Arthur as the final chicken keeper in Ottawa. The exemption was extended to Harry, and so for the next three decades, 1350 Wellington continued to be the final link to Ottawa’s significant backyard poultry breeding past. Harry Showler raised chickens, ducks, geese, swans and pheasants, which he kept both at his home and at his family cottage on Big Rideau Lake. He became well known locally as “Birdman” and was ahead of his time in fighting for the preservation of wild life. He had a permit to allow him to care for injured wild birds, most typically Canada geese. He also kept a lamb as a pet, which he would walk around the neighbourhood. 1350 Wellington also holds a bit of extra notoriety, as being the location where Canada’s first double-decker bus was parked. In May 1961, Harry’s brother Fred purchased the 1937 Leyland bus in Nottingham, England and brought it back to Canada to use in promotions for his garage in Hamilton. According to news reports, this was the first time a double-decker bus had ever been brought into Canada. The bus toured Ottawa for a few days before Fred took it to Hamilton but it returned in 1962 for an extended period (parked alongside 1350 Wellington) while Fred negotiated with the OTC to run sightseeing tours using the bus. The idea failed, and instead, Fred drove it across the United States later that year. By late April 1985, the Showlers had sold their house and began the process of dismantling the pens and coops which had stood for 66 years. The final remaining chickens and birds moved with the family to their cottage in Perth, which truly marked the end of an important chapter in Ottawa’s history. Affordable, Clean, Secure, Central Dave Allston is a local historian and the author of The Kitchissippi Museum (kitchissippimuseum.blogspot.ca). His family has lived in Kitchissippi for six generations. Do you have early memories or photos to share? 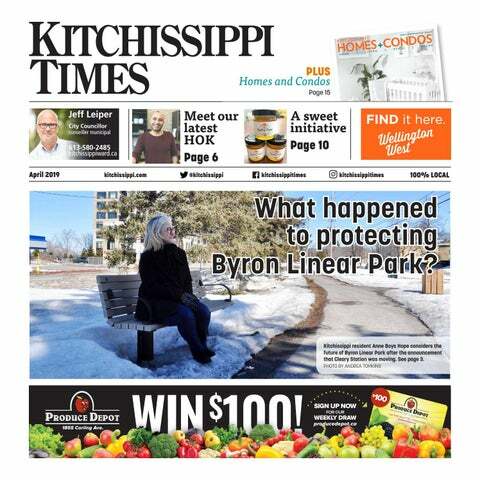 Send your email to stories@kitchissippi.com. residents keep them illegally. There is an impressive 740+ members of a Facebook group called ‘Backyard Chickens Ottawa’, and reports show there is growing support for a change in the bylaw, which would put Ottawa in line with other municipalities – such as Vancouver, Montreal and Kingston in Canada, and New York, Chicago and Los Angeles in the U.S. – that allow urban chickens (though with reasonable restrictions, usually requiring permits as we do with dogs). It sounds like an idea that the Showlers would heartily support! the restaurant,” says Randy. “In fact, it’s easier on the dishwasher or whoever is taking out the garbage because it’s not a 100 pound garbage bag anymore, it’s a 40 pound bucket of compost with a handle.” Jess, who has been working for the Bridgehead franchise for almost 10 years, says the company has always championed the environment. Since starting the project almost a year and a half ago, both Jess and Randy say they have been contacted by other local businesses that want to do their part to decrease their environmental footprint. Jess says there is no reason why other local businesses shouldn’t follow suit, and that it’s important to take a big step when it comes to protecting our planet. He also encourages businesses to challenge their suppliers to make the change to biodegradable products. “We live in a world where we should all be making smarter decisions that in the long run are going to impact some positive change in terms of how we treat garbage and the waste that we create,” suggests Jess. Do you have a story to share about new environmental initiatives in our community? Send your ideas to editor@kitchissippi.com. Downsizing – The Question is “Why”? By Dean Caillier, Sales Representative with Engel & Völkers Ottawa “We would love to downsize, but where do we move to?” As a Realtor, many homeowners ask me this question. Before I provide options of where to move to, I always ask, “Why do you want to downsize?” Downsizing can mean many things to many people. Downsizing is arguably a change in one’s lifestyle which often results in a want or need to change where and how one lives. Understanding why you truly want to downsize can help you be prepared when you are ready to make that move. Maybe you are looking to reduce your overall cost of living, or reduce your housing-related obligations, such as maintenance and upkeep. Or maybe you are an empty nester in that big house and want something that fits your current lifestyle. Whatever the reasons are, once you better understand the “why”, you’ll be in a better position to identify what you want, where you want to live, and when it’s the right time to move. hether your child has outgrown its crib, another baby is on the way, or your tween is asking for a more age-appropriate look, local retailers and designers are ready and waiting to help all parents become familiar with what’s new and trending in bedroom décor for babies and children. The Monte Design Joya glider is available at FAB BABY GEAR. Monte Design offers fully customizable options for their gliders, giving parents the option to add a burst of colour to a bedroom or go with a more neutral option. can be a crucial element to its design. “Designing a bedroom where a child will only be sleeping is totally different than styling and decorating a room where kids will be playing, reading or exercising,” she says. Ask your child what they would like to see (and not see) in their bedrooms and plan the room together. With trends and new styles ever-changing, Nevine encourages personalized touches to make a child’s room cozy, warm and speaks to who they really are. “Consider their favourite activities and include them in their rooms,” she suggests. “For example, sprinkle accents of their most liked-movie and make sure to incorporate their favourite colours. Always keep everything easy to change as they grow.” When it comes to designing children’s rooms you may want to check what design experts say are the top home and décor trends and see what trends you can apply to your child’s room while also incorporating their personal touches. According to Nevine, some popular trends for 2019 include floral patterns with bold colours, natural materials such as stone and plant life, bold geometric patterns, and copper and brass accessories. Regardless of the latest trends, Nevine believes it is important to design a functional and practical space that is safe, fun, and will stimulate a child’s senses and creativity as well as push them to move and exercise while playing. ©2019 EngelEngel & Völkers Ottawa Central, Brokerage. All rights reserved. Each Each brokerage is independently ownedowned and operated. John King & Deb Brokers. ©2019 & Völkers Ottawa Central, Brokerage. All rights reserved. brokerage is independently and operated. John King &Cherry, Deb Cherry, Brokers. Contact usus toto learn about the Engel && Völkers advantage. Contact learn about the Engel Völkers advantage. L.A. Sicoli Masonry offers that much more extra Luciano Sicoli respects, values and appreciates his customers. He takes the time to educate the customer about different materials, different options that are available to the customer and the process that will be used to complete the work. You meet the boss, the boss is the one that comes to discuss your issues and the boss will be the one that comes to do the work. We do not sub-contract out our work to anyone. Our reputation is too important. I have heard customers say that people have come, given them a price and just left them with their business card and many times have other people come to do the work. mouth from our customers is always the best form of advertising and this is greatly appreciated. Ottawa. It’s my home too. any painting or small repairs need to be done, book your trades now before they get too busy.” Spring and summer are a busy season for trades. When it comes to getting a home ready to sell, Liam says to keep these three words in mind: clean, light, and declutter. “Selling your home is the perfect time to clean and declutter,” he says. “Get rid of the stuff you don’t want or need now instead of waiting until the move.” This is especially true of closets, cupboards and pantries – the less stuff you have in them and the more organized they are, the better they show to potential buyers. And if you can’t decide what to keep and what to purge, Allison recommends renting a storage unit to get those items off-site. When it comes to cleaning, make sure you have deep cleaned your home, especially if you have allergens, such as pets or smoke. According to Liam, an increasing number of people have sensitivities so the cleaner your house is, the less likely someone is to have an adverse reaction. PICK A LOW-EMISSION PAINT. When you open a can of paint, you’ll immediately notice a smell. Some of what you smell may be from substances called volatile organic compounds (VOCs). Choose low emission paints when they are available to reduce exposure to VOCs, which can be harmful to your health. CHOOSE AND USE PAINT WISELY. Follow all safety and use instructions on the label. Be sure to use all personal safety equipment recommended on the label. Be aware that certain specialty paints are allowed to contain lead, a potentially dangerous substance, but they must have warnings and safe-use instructions on the product label. 4 STORE PAINT SECURELY. Keep paint safely stored where children cannot see or reach it. PAINT IN AN OPEN ENVIRONMENT. Be sure to ventilate the room you’re painting. This helps to reduce your exposure to paint emissions, like VOCs. Make sure children and pets are kept away from the work area. If you’re pregnant, it’d be best to get someone else to paint for you. DISPOSE OF PAINT PROPERLY. Follow label directions or dispose of it through your municipality’s household hazardous waste disposal program. Learn more about chemicals, pollutants and home safety at canada.ca/healthy-home. Cooking up the latest kitchen trends (NC) While the hottest trends might not always match your personal taste, there’s likely something that will inspire you to try something new. Whether you’re planning to do a complete kitchen renovation, or just looking to add some trendy touches, here’s what you need to know for your next kitchen update: FUN WITH COLOUR. Say goodbye to boring all-white kitchens. Contrasting colours are big this year and since the kitchen is the social hub of the home, it’s the perfect place to get creative. If a full colour overhaul is too big of a commitment, consider mixing things up with tuxedo cabinets or two-toned cabinetry. QUARTZ IS QUEEN. Quartz is gaining popularity due to its ability to look like natural stone without many of the drawbacks. It’s man-made and available in a variety of colours and patterns. It’s nearly indestructible and non-porous, so it will not retain bacteria, making it easier to clean. MIXED METALS. From matte black to brushed bronze, we’re seeing a variety of metals being used. Kitchens can now have different metal finishes for their fixtures, hardware, lighting and accessories. Find a contractor to make your vision a reality at homestars.com. SMOOTH FINISHES. Speaking of countertops, straight edges allow for a timeless look. Seamless and smooth is a big trend, including in the cabinet-fronts that now have less hardware and more subtle edgepulls. Dani Corbishley and Laura Allardyce are heading up the latest fitness craze, Broadway Workout, and it’s taking place in Hintonburg. Our focus is on true one-on-one care and a personalized approach to treatment, in a professional friendly atmosphere. 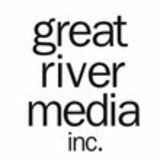 Call us to ask how we can help you, or come in for a tour and meet our staff. Have You Been Told You Have to Live With The Pain? Do You Want to Be More Active and Improve Your Mobility? At Back on Track, we love to help people get back to living the life they deserve. When pain strikes in your knee, lower back, neck or shoulders, or if you experience an injury from sport or exercise - we know it’s very tempting to leave it and hope it’ll simply “go away on its own” with time and rest.. At Back on Track, we are very pleased and privileged to be part of the Westboro community. We are so grateful to the thousands of clients who have trusted us with their care over the last several years. Our incredible team of dedicated healthcare professionals are here to treat, guide, educate and support you every step of the way. Whether you’re looking for Physio, Chiropractic, Massage, Acupuncture/ Dry Needling, Exercise, or Nutritional/Weight Loss advice, our team is here for you. For more information, go to Broadway 11 Holland 300, Ottawa Scott St,Avenue, Ottawa • Suite 613.722.1500 • mannlawyers.com Workout’s Facebook page at facebook.com/ Suite 710, 1600 613.722.1500 • mannlawyers.com BroadwayWorkout. favorite Broadway musical, you know where to go to turn that daydream into a well-choreographed reality. Q: Should I be taking iodine if I have a thyroid condition? A: Iodine is needed to make thyroid hormone but too much iodine can be harmful! There are different ways to find out if you are iodine deficient and one of those is through a urine test. Other nutrients to test for if you have a thyroid issue would be selenium and iron. I often look for urine bromide and cadmium as well since high levels of these could cause hypothyroidism. Q: If my thyroid isn’t working well, does this mean I have Hashimoto’s? A: There are many causes of hypothyroidism (an underactive thyroid). Hashimoto’s is when the immune system is attacking the thyroid and therefore causing a sluggish thyroid. Testing for Hashimoto’s is easily done with a quick blood draw and successful management usually differs from regularly hypothyroidism and includes dietary changes and supplements. I was thy neighbour once, thou rugged pile. Three summer months I spent in sight of thee. I saw thee every day and all the while Thy form was sleeping on a glassy sea. Keith Fraser at age 97. In 1948, the government of Canada sent him, by himself, down the Mackenzie River and along the Arctic coast on an intelligence mission. “It was wonderful,” Keith says, adding that Canada didn’t know much about the Arctic back then. He went north to the Western Arctic six times, mostly in May or June. “It was great until the mosquitoes came out,” Keith explains. He travelled with an assistant year after year. They lived in a tent and the sun was out 24 hours a day. We used to say: “What am I doing up here? This is awful,” but when the next year came, he could hardly wait to go. Keith says it was the same for a lot of surveyors. His father was also a hydrographic surveyor, but it was hard on his mother and also hard on Keith’s wife, Joyce, being away for so many months a year. Keith and Joyce married in 1949 and their daughter, Miriam, was born shortly after. Their son, Graham, was born seven years later. In 1958, Keith stopped going up north and moved from being a northern specialist with the government to becoming a leader in geographical names – names to identify lakes and rivers. “I liked that,” he says and was in that field for two or three years. He served as the executive secretary for several committees, including the Canadian Association of Geographers, of which he also served as president. He finally retired from government just about the time the Royal Geographical Society needed a manager, a position he filled for another 10 years until a member of the board of directors asked him when he was going to retire. “I can retire anytime,” Keith said, and did. “It was the icing on the cake.” “I think I’ve had an interesting life,” Keith says. He travelled for work, and later with his wife and family. His children, now adults, grew up with a fondness for travel. When he and his wife were in their eighties, a new member of the Rotary Club, originally from South Africa, organized a tour of his country. Keith moved to The Carlingwood Retirement Community four years ago when his wife showed signs of Alzheimer’s disease and he was no longer able to take care of her and the house. “It’s interesting here,” he says. “Neither my wife nor I had to look after our parents, so coming here among all these old people was a brand new experience.” Keith’s wife, Joyce, passed away quietly two years ago. school for another two months. “As soon as I graduated, I was sent overseas, first to Iceland for seven months, then back to England to refit. Then the squadron moved to the Azores,” explains Keith. On the troop ship on the way back to England, he heard Churchill declare the end of the war. “It was a good experience. I might have been a tail gunner or been in the army. God was looking after me I guess.” After the war, the government provided him with free university education. He had always wanted to be a history teacher, and enrolled in the University of Toronto, but fell in love with geography instead. He came across a government notice stating that they were hiring geographers, switched and graduated with an MA from University of Toronto, and later a PhD from Clark University in Massachusetts. manufacturer’s suggested retail price under $45,000. Advance reconciliation with Indigenous Peoples through new measures to help improve the quality of life for First Nations, Inuit, and Métis Peoples in Canada and advance self-determination with investments to improve water quality; preserve, revitalize, and promote Indigenous languages; improve the quality of education and health care for Indigenous children in a culturally relevant way; and promote Indigenous entrepreneurship and business. Since 2015, hard-working Canadians have proven what has long been understood: a strong economy starts with a strong middle class. And that’s what we can accomplish together, when we invest in the middle-class. recognize, not that the world is this awful and depressing place, but what things can they do to make change,” says Ms. Phillips. Ms. Phillips is personally a fan of Canada Reads and is excited about the class project. “My biggest take away from this is the enthusiasm for reading and the enthusiasm for debate, as well as engaging in discussion about world issues from a perspective of what people are saying and what books are out there,” she says. Students are also enthusiastic about the project and the books they have chosen. “I’m pretty excited to learn about my book, which is about how more poor and corrupt countries get that way and how they can kind of get out of the cycle and become maybe an economic power or at least a safer country with better human rights,” says Nepean student, Rowan Jackson– Cappuccino. Nepean student Anna Mercier says one of the most challenging aspects of the assignment will be presenting their book to classmates and campaigning for the one they think should win. “Getting up in front of 60 students to battle out the books will be pretty nerve racking,” she says. Ms. MacKechnie, is enthusiastic about her role in the Battle of the Books. “I’m brand new to the school so I’m excited to collaborate with the World Issues class and bring back these book clubs,” says Ms. MacKechnie. “I think it’s important to do these books clubs in classes other than English.” It will be exciting to see which book reigns victorious when the student debates and campaigns are complete. Want to read along? All of the books on the list are available at Nepean’s school library and at the Ottawa Public Library. Bella Crysler is a grade 12 student at Nepean High School. living their fullest lives. is generally exempt from In his report, Onley lays accessibility standards. out 15 recommendations We’re calling the 8. Octoberfor9 Ouronoffice is here for how Ontario can get back on government to move swiftly track towards becoming a fully in implementing all 15 ofMonthly Onley’s Town Halls accessible province. Among the most recommendations. To help spurCanvasses action, Community Organizin notable is implementing a requirement that our office is hosting an accessibility town Help Accessing Gove public money is never used to erect new hall at the legislature to hear directly from barriers. those affected by Ontario failing to meet The inaccessibility of the built AODA targets on April 10. We’re excited to environment was identified by the report hear from experts and those who have 109 Catherine St.lived / rue Catherine Ottawa, K2P 0P4 / Députéexperience provincial,encountering as one of the most significant issuesMPP facing and ON working to Ottawa Centre people with disabilities. New buildings, dismantle barriers. including those constructed on the public Do you have ideas to share with us dime (Ryerson’s Student Learning Centre about how to improve accessibility in our Owner Jeff Frost doesn’t need to brag is one particularly egregious example), are community and across Ontario? Send us about that time a local sports hero being erected that are simply not accessible. your thoughts at jharden-qp@ndp.on.ca. came to eat; they’re in this memorabiliacovered eatery all the time. that you can put food on the table?” That’s the advantage of living benefi ts. Majdoub Group is hosting seminars on August 16, Septe free and October mber 20, 18 about creatin sonal Pensio g a Pern Plan. It’s a chance to meet Meiz in a low-p ressure setting away with expert and come guaranteed incomadvice about achieving e for life regard market perfor less of mance. Anyo ne who does doesn’t have or a pension will find his gentle guidance valuab le obligation. Conta and there’s absolutely no ct Financial expert the office to register. Meiz really likes ise aside, it’s clear that people. He’s times that he’s heard many easy to talk to. my career,” he “That’s been says with a smile. here to sell a “I’m not produ about the option ct, but to educate you s,” he says. “My open. It’s an door is easy and have a conve place to be. Just come by rsation.” For details about Majdoub Group services, see www.majdoub.com . Book your space now! Kitchissippi Favourites is a special feature that introduces local shops and services to KT readers. value,” says David. In an era of fast and mass produ food ction, this is one grocery store that still puts qualit y first. sweeping for many areas of Kitchissippi. You can read the entire response at kitchissippiward.ca, but the two key factors in the delay were the below average temperatures causing water to freeze on contact with the roads and procurement challenges for contracted services. We look forward to more timely operations this spring. Finally, our Ward Forum will be held on April 15 at 6 p.m. The subject of the forum will be traffic calming and I look forward to seeing lots of residents out to discuss this important topic. Keep your eyes on the newsletter for more details. And for anyone who is a planner (like me) next year’s school year calendar is available on our website at this time. Find it online at https://ocdsb.ca. Thompson, and Minster of Children, Community and Social Services, Lisa MacLeod, regarding the changes to the Ontario Autism Program. Our school district is committed to serving all of our students, and we have concerns regarding the implementation of these changes given that we do not have an accurate picture of what the implications will be, and how the changes will be adequately funded. Chair Scott has sent a letter to the Ministers and will be requesting a meeting with local MPP Lisa MacLeod, to share our concerns and explore solutions. I am excited to announce that on March 19th the Committee of the Whole passed a $12,250,000 budget to renovate and add on to Elmdale Public School (this recommendation needs final approval at the board meeting on March 26th, and a signature from the Minister’s office). The Elmdale community has been waiting for this addition since the 2013 Near West Review. The student community will be relocated for the duration of the renovation, which will allow for a larger project than would be possible in an occupied school. We are excited to announce that Eric Hardie will be joining us as a new superintendent of instruction on April 8. Eric is joining us from the Upper Canada District School Board. programs. Clean out your closet, stuff it in a bag, and drop by! We’ll be there handing out special goodies and hosting fun activities the whole family can enjoy. It’s also Cinco Di Mayo, and Westboro businesses will have some special menus on, too! On the June 1-2 weekend, Westboro will be hosting a “SHOP THE VILLAGE” event and we invite everyone to come to Westboro to sip, savour, and save. Merchants will take to the street with special offers for visitors in this limited time frame! There won’t be any street closure, and free parking will be offered in special marked areas. There is also free parking on-street as usual (where available!). We will be handing out special ecofriendly bags with exclusive deals and more! Look for more information online soon at westborovillage. com, or follow us on Facebook at facebook.com/ westborovillage for the latest news about what’s happening in Westboro. Mark your calendars! Westboro FUSE Street Festival returns this August 17 and 18. There’s lots of exciting new stuff being planned! Food, fun, and entertainment that’s family friendly and free! Stay tuned for more FUSE updates at westborofuse.com. with some fun accessories (Ebb has lots in stock!) and you’re ready to go. If we’re talking about the sporty side of travel fashion we definitely can’t forget MEC (366 Richmond Rd.) This is the time to drop by and check out their new arrivals. Cozy hoodies, packable puffy jackets, shorts, and tees, will help make your travel adventures a little more comfortable. programs are designed for the enjoyment of everyone in the community. Whether you’re anxiously awaiting the reactivation of their tranquil hillside waterfall or participating in one of their programs, don’t miss out on spring at Dovercourt. As winter ends, Dovercourt’s Westboro Kiwanis Park transforms from a winter wonderland into one of the top-rated parks in Ottawa, with a greenspace, an accessible play structure, an infinity climber, and more. Soon Dovercourt’s double half pipe will offer a free space for skateboarders of all ages to hone their skills, and the Dovercourt and McKellar Park tennis courts will be ready for a game of singles or doubles. At Dovercourt, kids can learn to play tennis from as young as five years of age through their Learn to Play program. It is a Tennis Canada curriculum that uses Progressive Tennis to introduce the sport in a fun and interactive way, ensuring success for all young players. Kids can also learn the ins and outs of skateboarding through Dovercourt’s spring Skateboard Stars programs. From beginners to pros – these programs are open to those just starting on the ramps and those wanting to improve their techniques. WESTBORO VILLAGER THE PIGGY MARKET From now until April 12 (when Jerry Seinfeld performs in Ottawa), the Piggy Market presents "the foods of Seinfeld." Look for quirky menu items inspired by Seinfeld. Fans definitely won’t want to miss this. This feature is a paid advertisement sponsored in part by the Westboro Village Business Improvement Area. For more information, please see westborovillage.com. April 4: The Piggy Market celebrates their 10th birthday. Everything is 10% off April 4 - 7! Richmond Rd.) is also the Merit Travel Corporate Social Responsibility Manager for Merit Travel. He says some great prizes are up for grabs including holiday packages, lift tickets, golf passes, and travel vouchers. All proceeds will go towards new water and sanitation services at 12 obstetric and neonatal care clinics across rural Tanzania, Africa. Check out the auction and place your bids until April 23 at MeritTravel.com/Auction4Action. Shop The Village for gifts this Spring. APRIL 8 - IMPROVING INCOME IN RETIREMENT Are you a middle-income earner? Are you approaching retirement? This presentation is an overview of the income sources available to Canadians during retirement. It will highlight important considerations that affect retirement income. Presented in partnership with Elie Fakhouri, Chartered Financial Analyst. Happening at the Carlingwood Library on Monday April 8 at 6:30 p.m. Registration is required. For more information go to biblioottawalibrary.ca. APRIL 5 - TRIVIA CHALLENGE FOR CHARITY AT THE WESTBORO LEGION Grab a team and compete for donations to your favourite charity at Westboro Legion Branch 480 (389 Richmond Rd. ), Friday April 5 at 7:30 p.m. Ottawa Trivia League Quizmaster will be presenting. Entry is $15/player with a maximum team size of six. All are welcome but must be 19 or older. Registration forms available online at rcl480.com. Pre-game food available. Bar & kitchen open at 6 p.m. Great door prizes. Complimentary popcorn. APRIL 12 &13 - KITCHISSIPPI UNITED CHURCH SPRING RUMMAGE SALE A fine selection of jewellery, collectibles, clothing, shoes, boutique items, books, toys, household items and more make this a popular event. Friday, April 12 from 7 p.m. to 9 p.m. and Saturday, April 13 from 9 a.m. to 12 noon at 630 Island Park Dr. For information call 613-722-7254 or go to kitchissippiuc.com. APRIL 27 – NEPALI GALA Namaste. On behalf of the Women’s Foundation Nepal we invite you to the annual Nepali Gala to be held at First Unitarian, 30 Cleary from 5 p.m. to 9 p.m. Join us for a delicious Nepali meal of dahl, butter chicken and curried vegetables prepared by members of the Ottawa Nepali community; enjoy our unique silent-auction items; sale of hand-woven silk and cashmere scarves and be entertained by Nepali dancers. Proceeds from the event will support the Women’s Foundation Nepal (womenepal.org) to provide shelter and assistance to victims of gender-based violence and exploitation. Tickets for the gala, including dinner are $30 (children $15). To reserve your seat contact Patricia at 613-820-4061 or ottawanepaligala18@gmail.com. For the full list of events please go to kitchissippi.com. editor@kitchissippi.com Please include “Community Calendar” in the subject line of your email. APRIL 25 - MYSTERY IN THE ‘HOOD: WHERE THE BODIES ARE BURIED! AUTHOR VISIT WITH BRENDA CHAPMAN AND BARBARA FRADKIN Come join authors Brenda Chapman and Barbara Fradkin for an evening discussion of their work! Led by CBC radio host Giacomo Panico. Happening at the Carlingwood Library on Thursday, April 25 at 7 p.m. Drop-in event. For more information go to biblioottawalibrary.ca. APRIL 28 - A CONCERT FOR THE WHOLE FAMILY Parkdale United Church Orchestra and Music Director Angus Armstrong present “Children’s Corner”, a concert for the whole family at Parkdale United Church on Sunday April 28 at 3 p.m. This will be a benefit concert for Orkidstra with many members of Orkidstra joining us to play. You will hear well known shorter pieces, playful tunes, and an introduction to the instruments of the orchestra with Benjamin Britten’s A Young Person’s Guide to the Orchestra. Tickets at the door are $20 adults; $15 students / seniors. To purchase in advance at a discount, see parkdaleorchestra.ca. APRIL 20 - UKRAINIAN SPRING BAZAAR Ukrainian hot lunch and take home borscht, perogies, cabbage rolls and baked goods. April 20 from 10 a.m. to 2 p.m. Local products and unique gift items, imported Ukrainian embroideries and handicrafts, Easter egg making supplies, White Elephant table. Ukrainian Orthodox Hall, 1000 Byron Ave. Free parking. For info email HalynaB@hotmail.ca. APRIL 23 - OTTAWA HORTICULTURAL SOCIETY: VINES AND TRAILERS Mary Reid, owner of Green Thumb Nursery, has given talks to many of the valley garden clubs and shared her vast knowledge of numerous topics. She has covered for Ed Lawrence on the garden spot on Ontario Today. She will share with us some pointers on vines and trailers. A must-attend event. Free. Tom Brown Arena (141 Bayview Rd.) from 7:30 p.m. to 9 p.m. Info: ottawahort.org/events. APRIL 27 - SPRING RUMMAGE SALE The Parkdale United Church Spring Rummage Sale is taking place Saturday, April 27 from 9 a.m.- to noon. Use Gladstone Avenue door. Clothing, household items, toys, books, electronics, furniture, linen, plants, sports items, oodles of items. Donations are welcome but must be delivered before April 25. For information call 613-728-9686 or go to parkdaleunitedchurch.ca. APRIL 5 & 6 - FIBRE FLING TEXTILE ART SHOW AND SALE Out-of-the-Box Fibre artists invite you to a show and sale of textile and mixed media art at Kitchissippi United Church (630 Island Park Dr.) Our membership includes a wide range of fibre artists. At last year’s show, around 45 artists exhibited – art quilts, mixed media framed works, felting, wearables, embroidery, dolls, beadwork, jewelry, rug hooking and more. The depth, quality and originality of the work are inspiring. A sales area gives visitors an opportunity to purchase unique items including small framed artwork, wearables such as scarves, hats and bags, jewelry, cards, handmade books. Admission is $5 and will be donated to the Stephen Lewis Foundation. Light refreshments available. Friday between 10 a.m. and 8 p.m. and Saturday from 10 a.m. to 5 p.m. For more details contact Lorraine.lacroix613@ gmail.com or visit out-of-the-box.org. APRIL 17 - LYNDA.COM Learn how to use Lynda.com, one of Ottawa Public Library’s resources. With over 4,000 video courses from top experts, Lynda.com is the place to go for learning computer programming, multimedia software, 3D animation, photography, project management, and much more. Lynda.com is free through the Ottawa Public Library website. Happening at the Carlingwood Library on Wednesday April 17 at 6:30 p.m. Registration is required. For more information go to biblioottawalibrary.ca. APRIL 22- FASHION SHOW AT AMICA Join us for an afternoon on the runway at Amica Westboro as our residents and staff model this years’ summer trends from Canadian clothing brand: Nygard! Enjoy light refreshments and our catwalk from 2-4 p.m. on Monday, April 22. RSVP to Julia at 613-728-9274 by April 15. BEGINS APRIL 2 - ST. GEORGE’S PARISH ALPHA PROGRAM Alpha is a series of interactive sessions exploring the basics of the Christian faith. Participants share a meal together at the beginning of each meeting. There’s no pressure, no follow up, and no charge; it’s just an open, informal, and honest space to explore and discuss life’s big questions together. Alpha will begin at Saint George’s April 2 at 6:45 p.m. and go until mid-June. For info please see saintgeorges.ca.